You will stay in the former “Pressoir” (press room) of the “Ferme du Château de la Bretonnière” (farmhouse). The holiday cottage is adjustable when it comes to bedrooms (that we can close according to the number of people staying). Large living space with fireplace, fitted kitchen (microwave, oven, dishwasher, freezer, etc. ), dining room and living room with television and DVD player. Fittings have been installed to facilitate access to disabled people (large doors, bedroom, shower room with walk-in shower and toilet on the ground floor). Without extra cost: baby set at your disposal to travel light (folding cot with mattress, high chairs, booster seat, freestanding bath, etc. Pets are allowed but please state it upon booking. In 2006, we decided to do something crazy: renovate a farmhouse out of love for beautiful structures and to promote the regional heritage. Suitable ground floor The door of the bedroom and the bathroom is 83 cm wide Opening onto the large living space where it is easy for wheelchair users to move Shower room with walk-in shower (one level, no shower cubicle) and toilet at wrist level Seat adapted to the shower at your disposal. 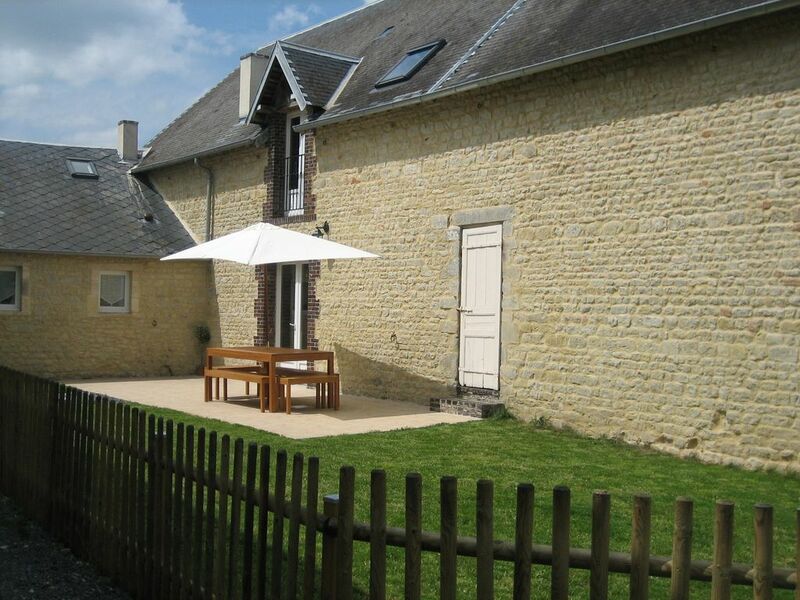 The Gite's location is perfect and the accommodation is simply lovely. We couldn't have chosen a better place to stay. It is very spacious and beautifully furnished. It is surrounded by beautiful countryside and close to many touristic areas . We didn't find it easily so we suggest you study the map before you get there. But apart from that we loved our stay! Très bon accueil, chaleureux. maison spacieuse, nous étions 12, au calme idéal pour le repos avec aussi de la place en extérieur pour que les enfants jouent. Le propriétaire nous a même conduit jusqu'à un nid de cigogne avant notre départ. Nous avons passé un très bon séjour au gîte. Un logement très propre et joliment aménagé. Prima locatie, in het centrum van alle bezienswaardigheden. Zeer aardige en behulpzame eigenaar. Erg net en schoon huis. Maison très agréable, avec tout le confort pour 12 personnes, accueil très sympathique.